"We thought we walked into a postcard". 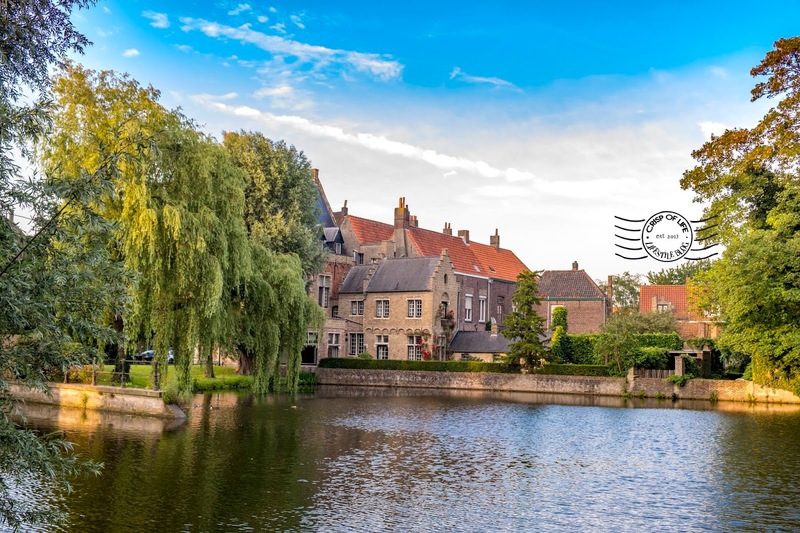 That was our immediate thought upon stepping into Bruges, the medieval town in Flanders at northern part of Belgium. 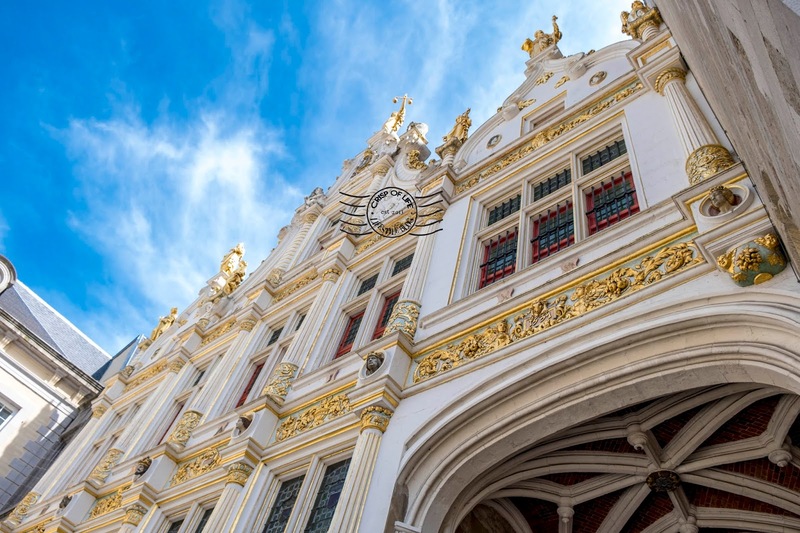 Beauty is never a luxury to feast on at this UNESO World Heritage City. 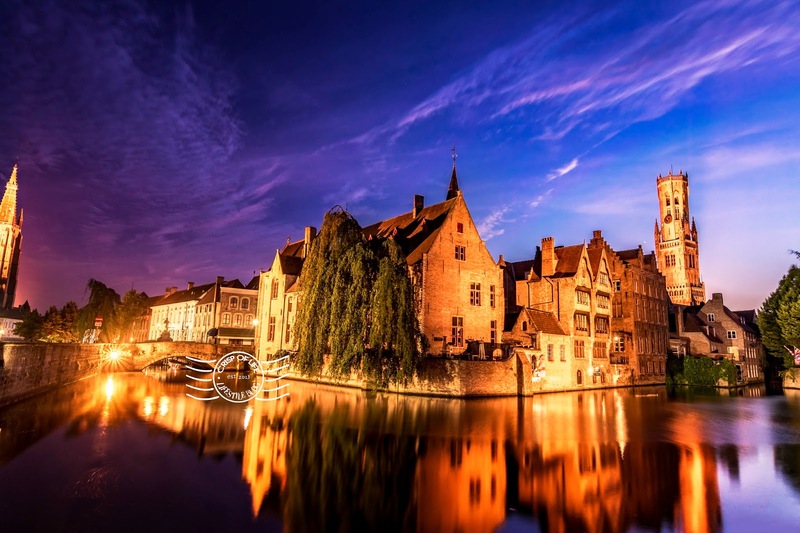 Every bits of Bruges, from the cobbled street, gingerbread size house to the calm canal are charming on its own, and altogether they contoured the exuberance of history of the city. 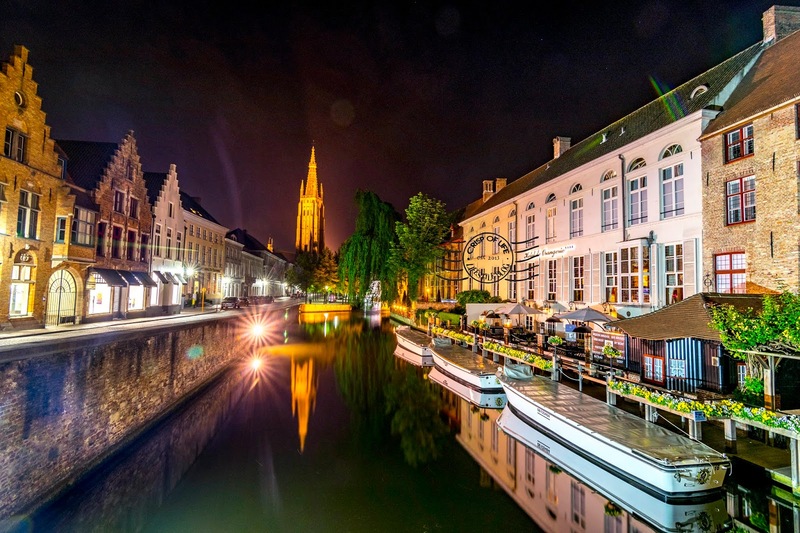 Some people dubbed Bruges as Venice of the North. 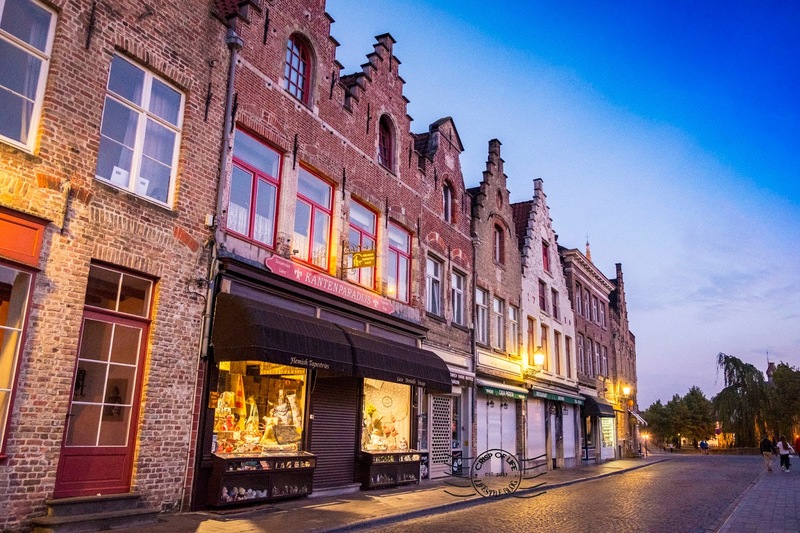 Travelling to Bruges from Brussels is relatively easy as there are plenty of train servicing the route. 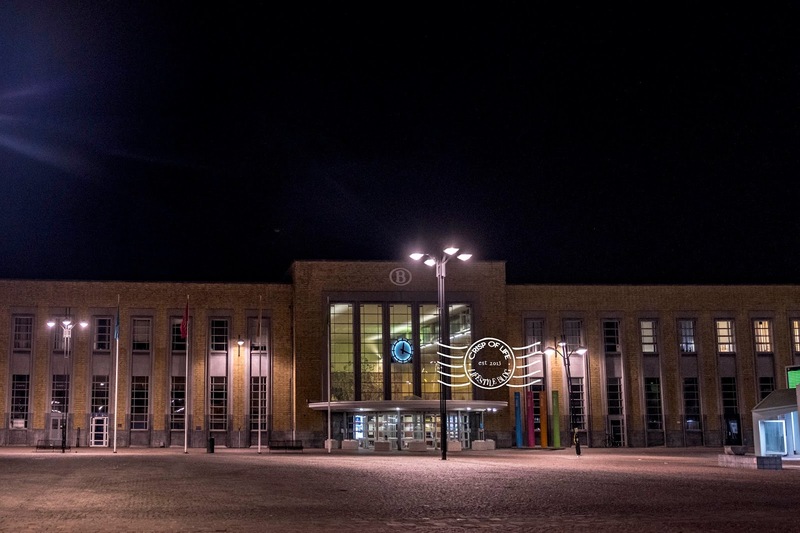 However, do take note Bruges (Brugge) is not a terminal station, hence look for train going to Oostende or Blankenberge. 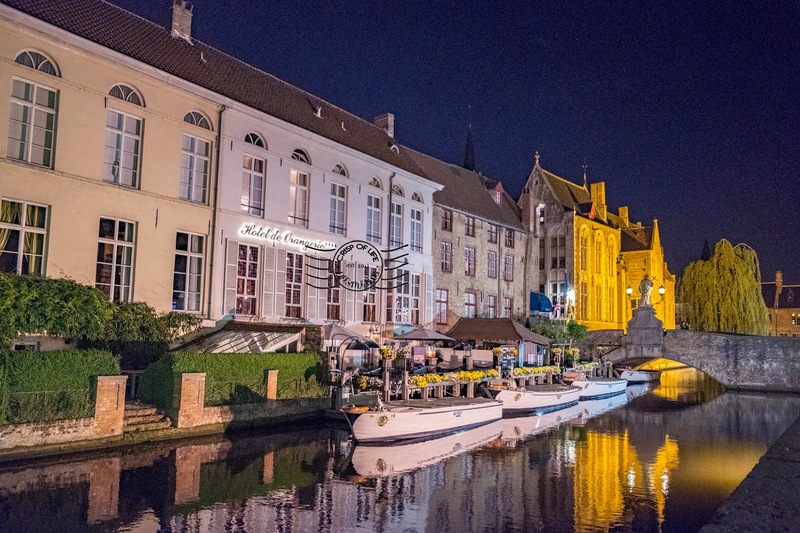 It is only an hour train ride from Brussels but a night stay in Bruges would be a great idea. 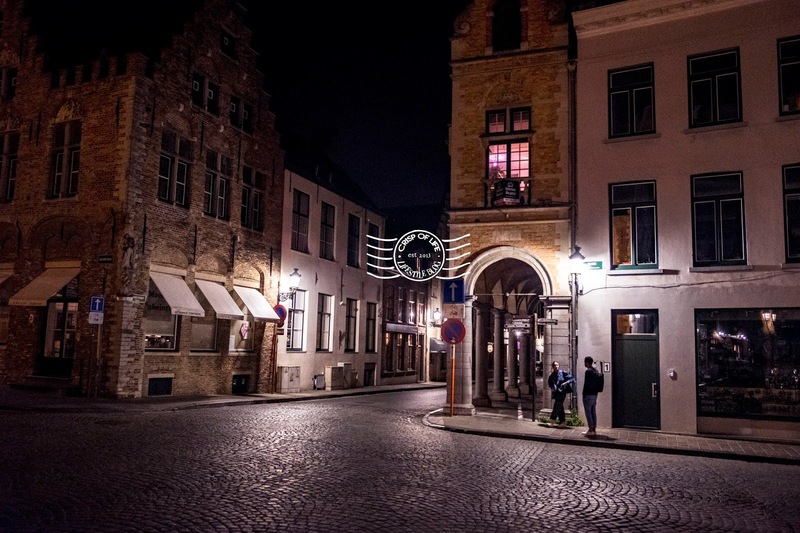 The tungsten light lit up the city created a charming appealing, yet at the same time fabricated a mysterious feeling of the historical town. 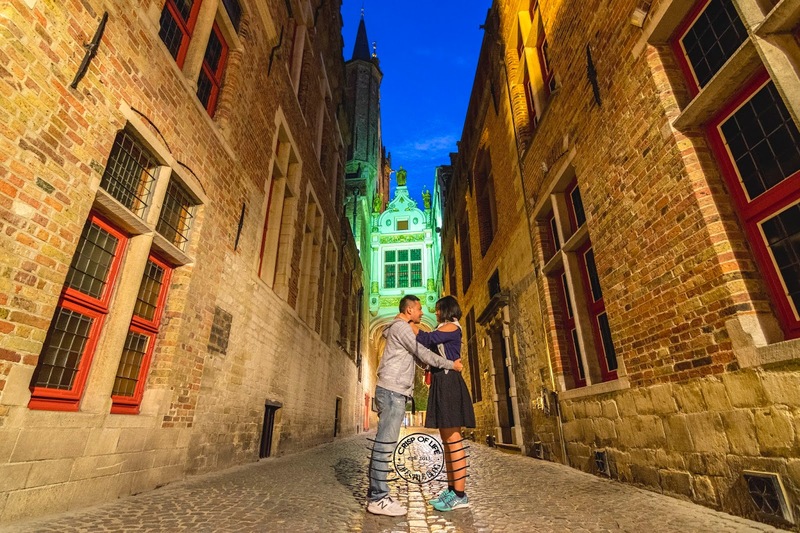 For us, we felt safe walking around Bruges at night, though exercising precaution is a must. On top of that, do take note the train station in Bruges does not have counter servicing international routes (to France or other places). 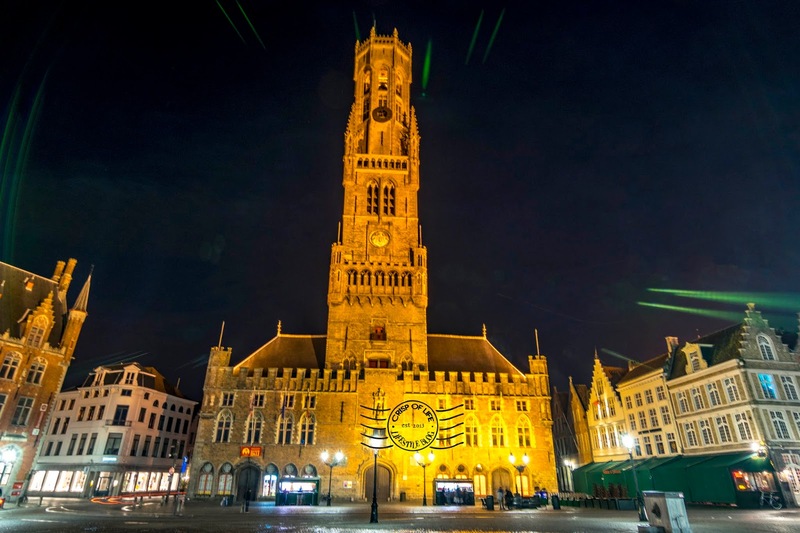 We thought French is widely spoken over in Bruges but that is not the case in reality. 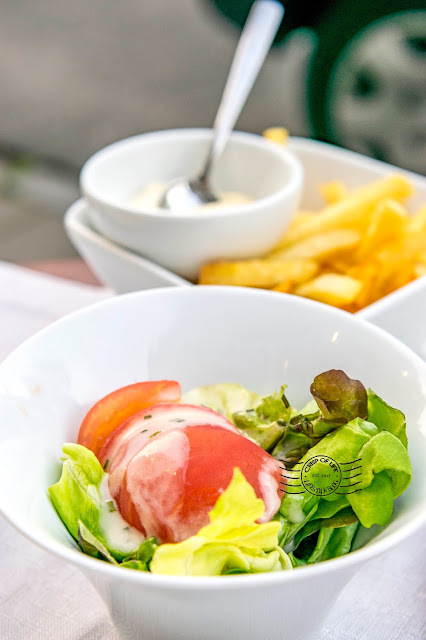 Restaurants main menu are mostly presented in Flemish, or Dutch (both are essentially the same); and English seems to have wider acceptance in Bruges than French. Have faith and converse in English and most likely the people in Bruges would have no problem understanding you. 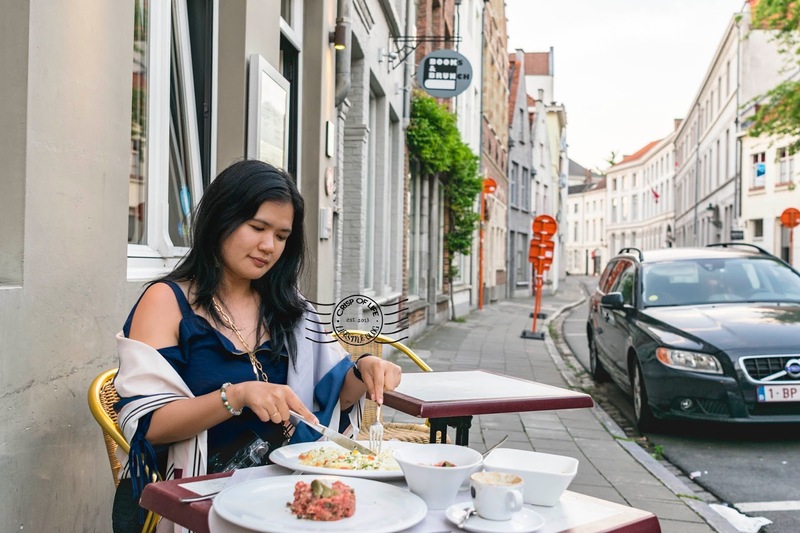 There are plenty of renowned restaurants in Bruges and google can yield a lot of answers. However, we are trying to be slightly off the beaten track by venturing into less populated places by skipping the main Burg Square. Famous gastronomic specialty of Bruges included Rabbit Stews and Eel Stews, which we failed to give them a try unfortunately. Anyhow, we managed to try something special here - White Asparagus. De Bron is a vegetarian restaurant and is open from 11:45am to 2:00pm on weekdays only (except Wednesday). 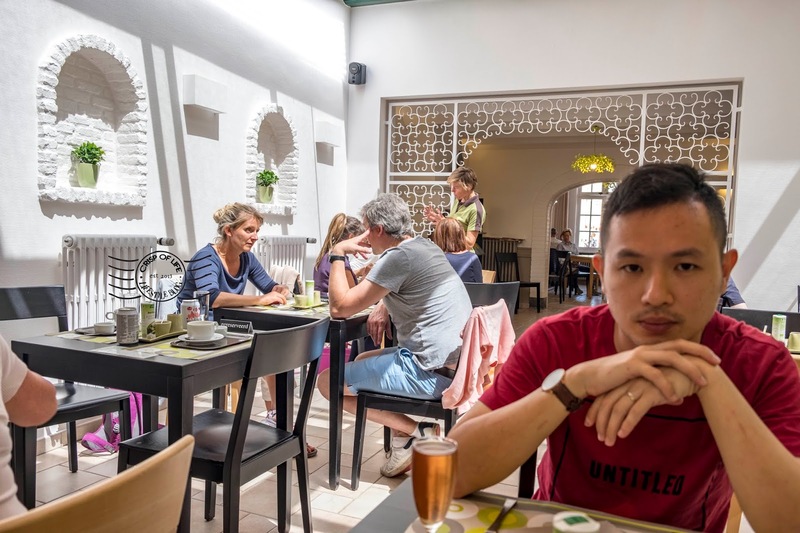 Despite the short operating hours, the minimalist restaurant is a popular destination for lunch due to its delicious vegetarian dish. 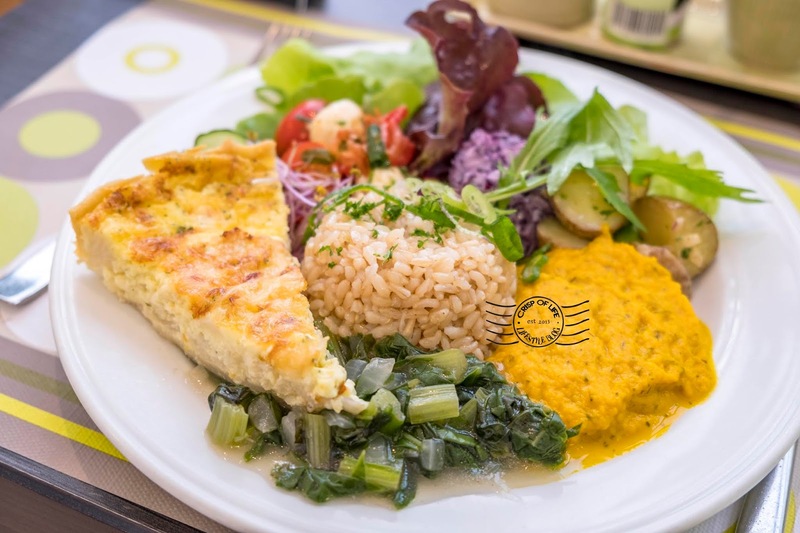 There is only one main course here - Vegetarian platter with 4 different sizes from baby board to super plate, assembled from fresh vegetables available daily. The vegetarian meal is delicious. 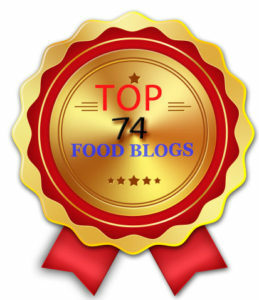 Every component of the meal tasted great and fresh, and is more than enough to make us feel full. 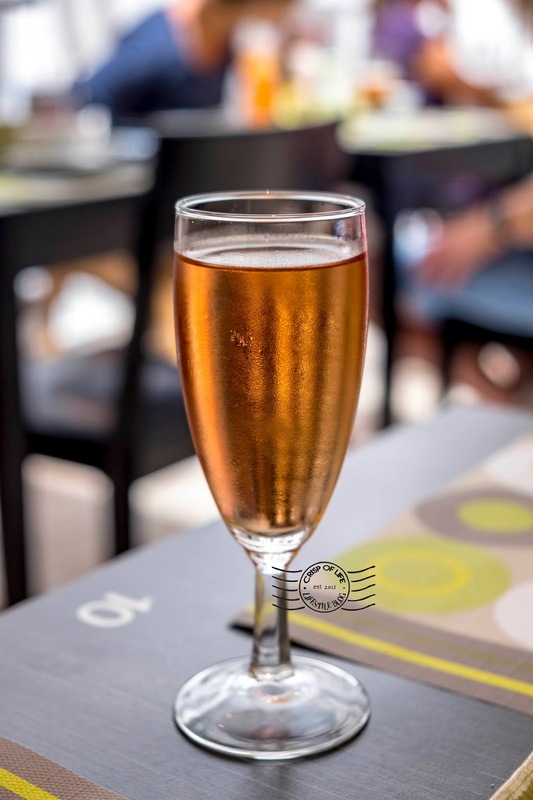 We saw aperitieven on the menu and assumed it was appetizer, then it turned out to be champagne that is used as appetizer. 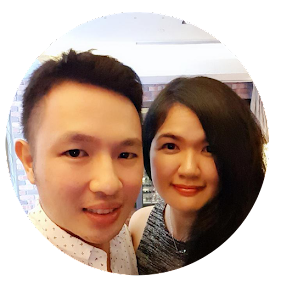 While waiting for the main dish to arrive, the champagne well opened up our appetite. Business was brisk at De Bron during our arrival and we were lucky to get a table. The boss (I supposed) in De Bron is very friendly and accommodating in helping us to understand the menu by explaining to us. This is very few instances in our life we encountered such vegetarian dish. 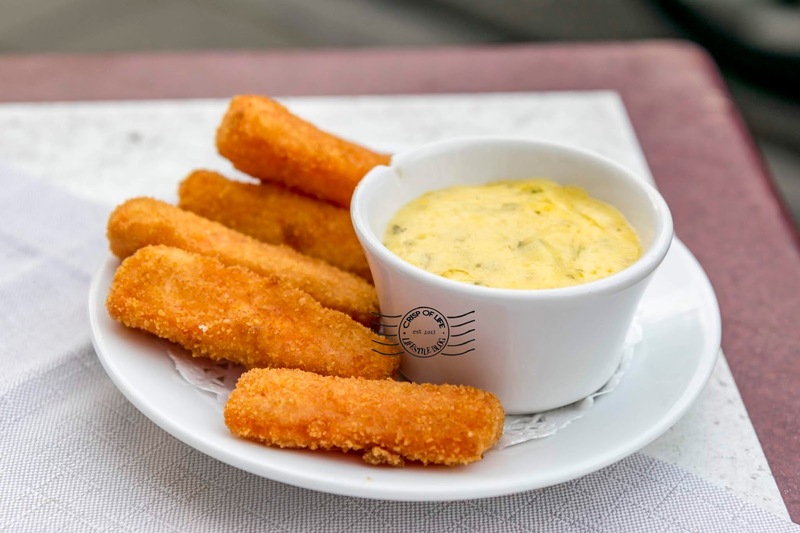 We googled a dozens of restaurants in Bruges to look for the seasonal white asparagus upon knowing its popularity. 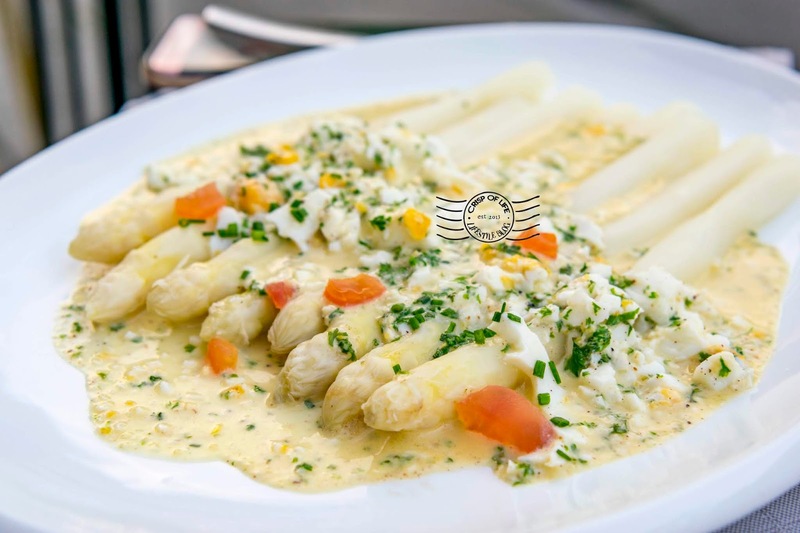 To our dismay, most of the restaurants did offer white asparagus in course meal and it was way out of our budget with the average price of €40 or even more per course. Then we found Bistro Christophe offers white asparagus in price range that fits our budget and quickly rushed there. 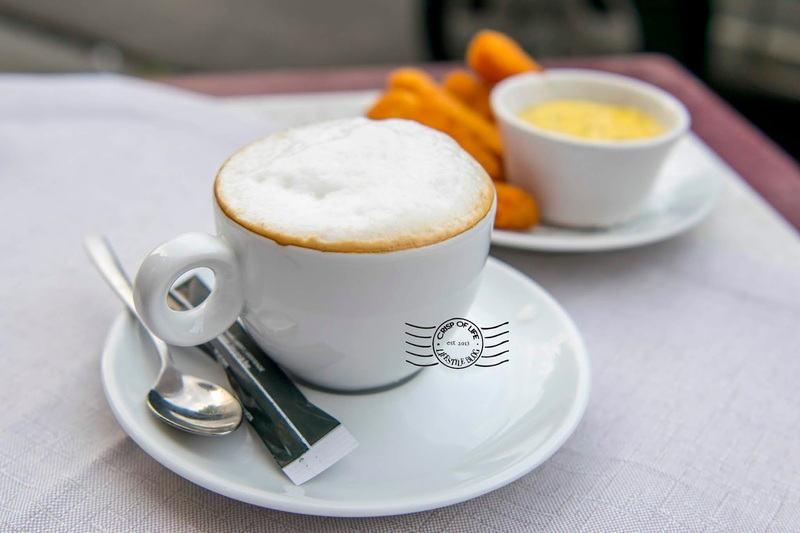 It is located slightly from the major tourist spots, rendering it a calm environment for dining. Finally we got to sample the revered white asparagus, and gave our virgin trial on steak tartare (raw beef served with capers and peppers). 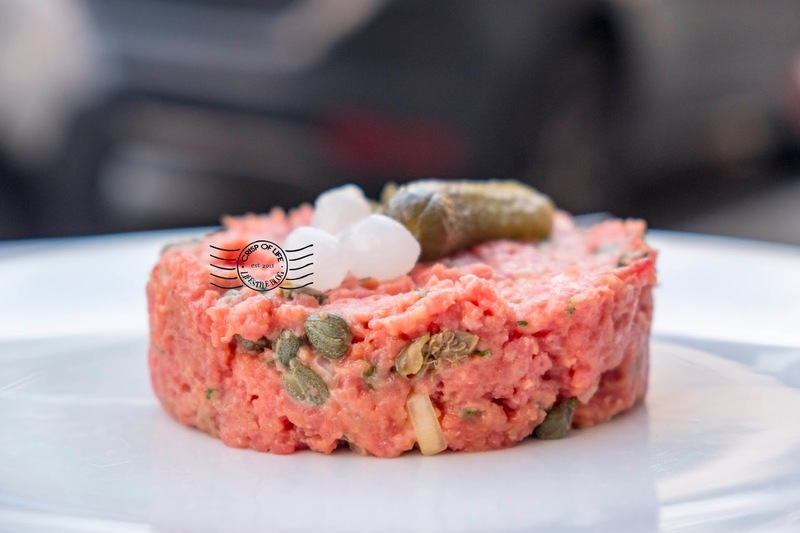 Perhaps due to us being an Asian, the lady crew did preempt us that steak tartare is made from raw beef and checked whether we are okay with that. From time to time, she also came outside to have a look (since we opted to be seated outside to interrupt the other guests less with our photography activities) and check if everything is ok. Thanks to her for being such attentive. 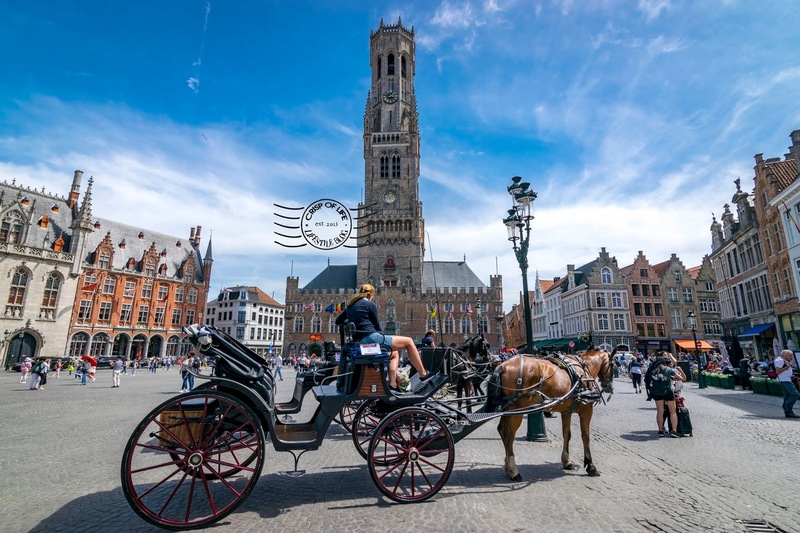 The medieval clock tower in the center of Bruges is one of the iconic structure of the city. 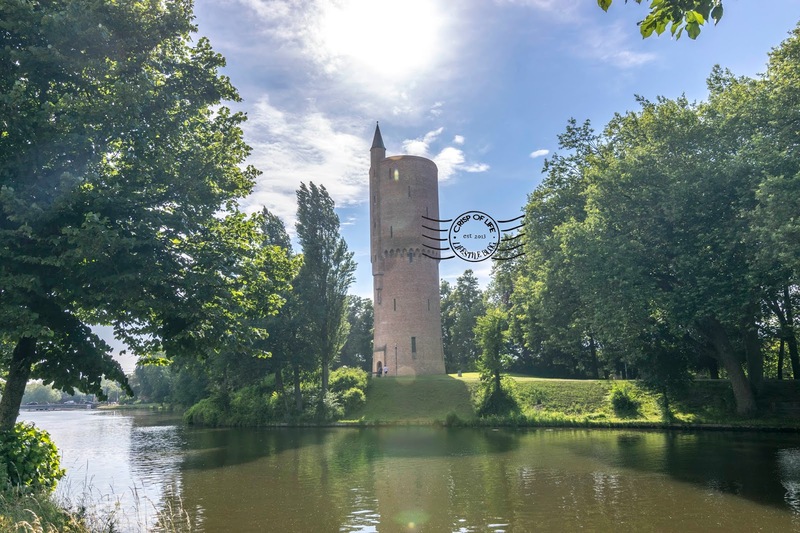 Standing at 83 metres stall, you can get a panoramic view of Bruges and the surrounding at the top for those willing to take the challenge of climbing. Her building is incredibly beautiful at both day and night time. The center of Bruges boasts of having a variety of architectural styles from the Gothic to Renaissance to the Neo-Classical due to early civilization of Bruges dating since 3rd century. 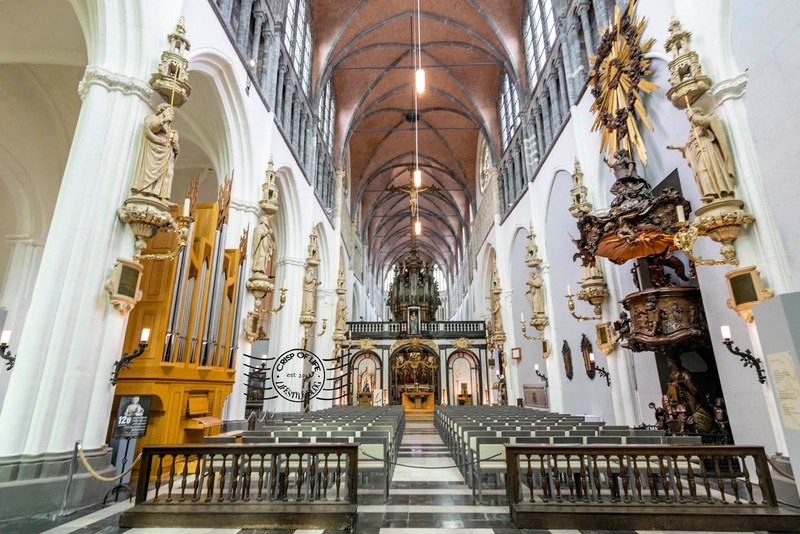 Among the beautiful building here is Stadhuis, The Gothic Town Hall, and Basilica of the Holy Blood (Heilige Bloed Basiliek), a Romanesque and neo-Gothic church which houses the relic of the Holy Blood. 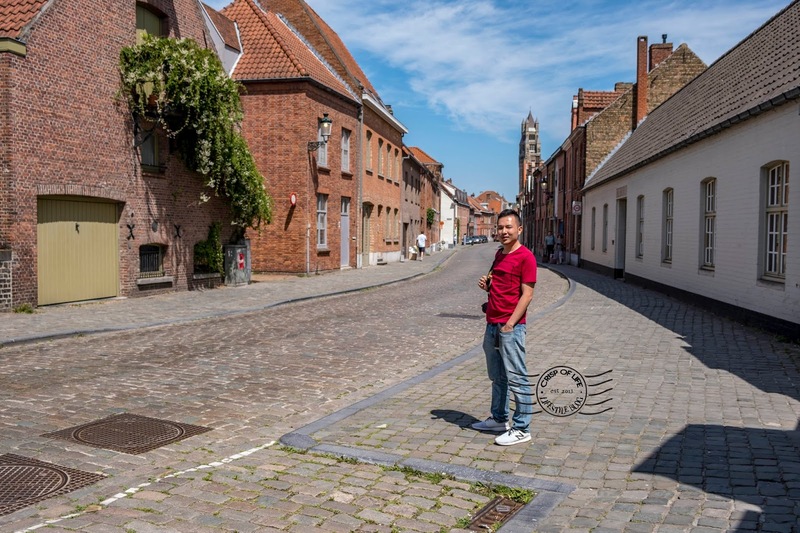 Along the canal in Bruges there are aplenty of signature spot for photography purposes. 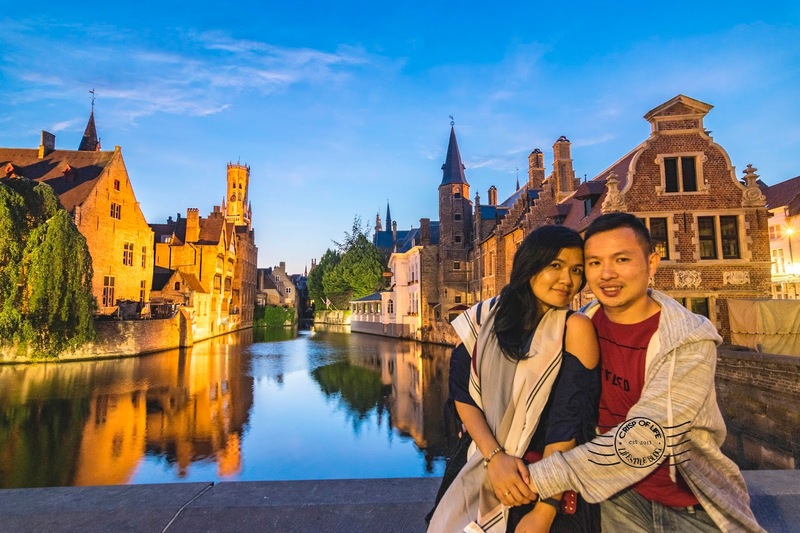 You shall be enthralled by looking at beautiful scene especially when the dusk sets in, where images of the buildings are mirrored on the calm canal when the dusk sets in with the signature Belfry of Bruges as background. Set to be impressed here! Tourists are aplenty though and good luck on getting some decent shots! 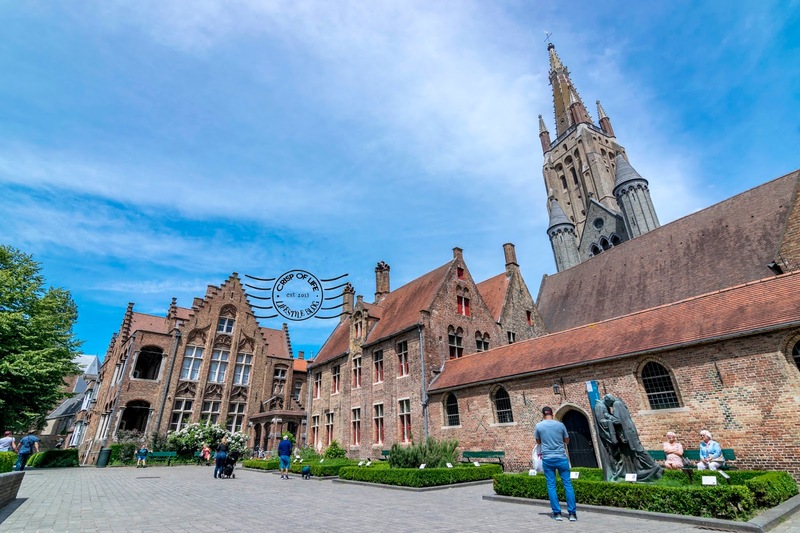 The Historium of Bruges takes you to the medieval Bruges and let you witness the Golden Age of Bruges. 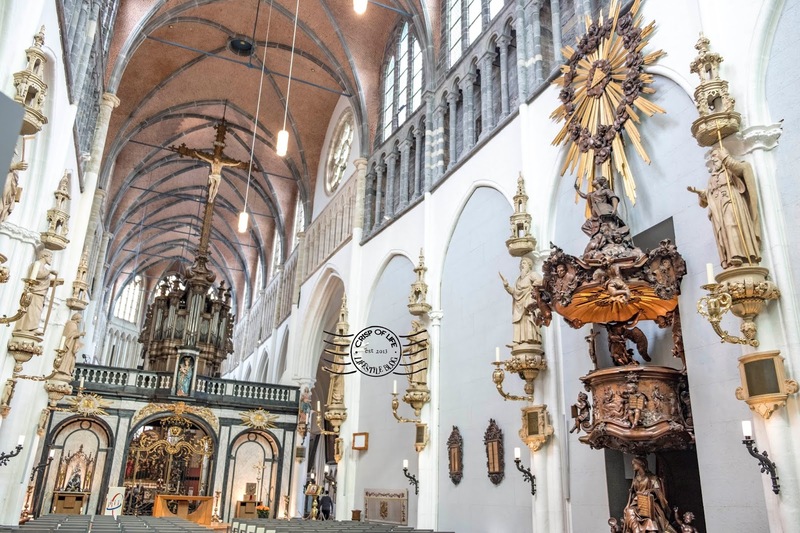 You can try on the virtual reality to have an splendid virtual adventure to the tour of medieval Bruges, see the exhibition, or climb the Historium tower for a panoramic view of the building in the city. 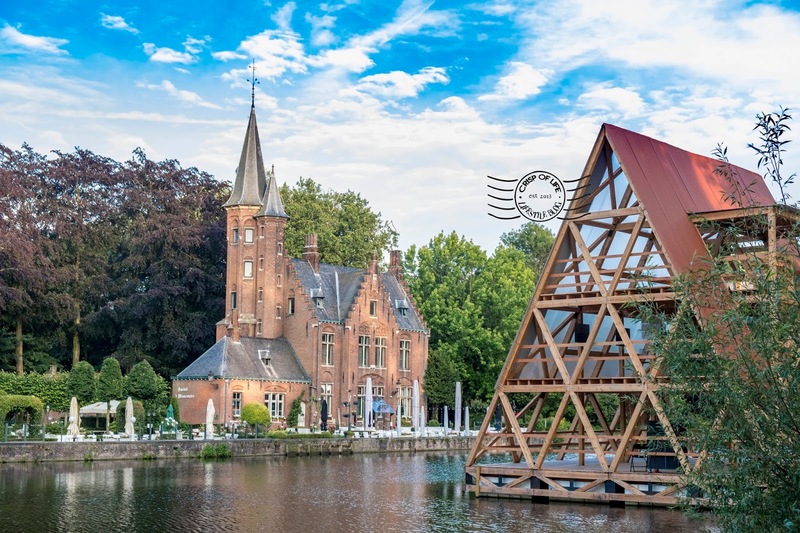 It is very unlikely for you to miss Minnewater Park if you are going into Bruges city center from the train station. This park is scenic and has her own charm to gaze at. Take an evening stroll at the lake bridge and enjoy the scenic view of Lake of Love, the heart of the park. Swans, the city's emblem is aplenty surrounding the park. 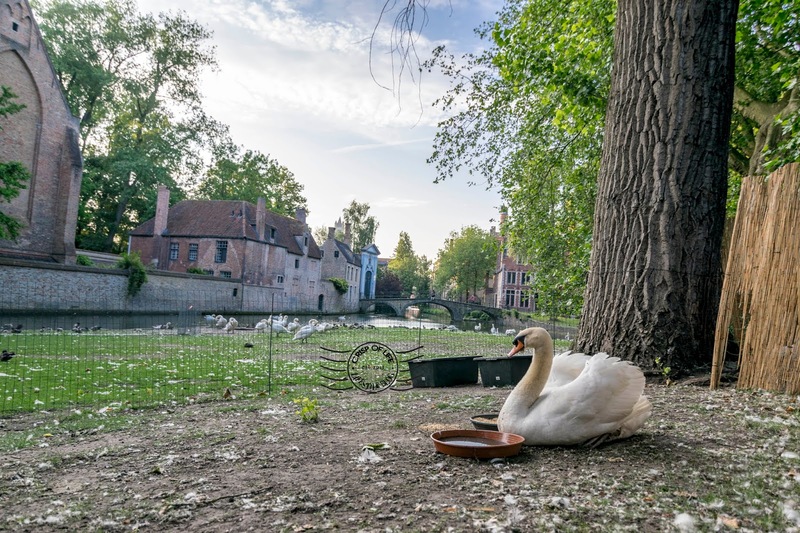 Whooping sounds from the swans and burble from the streaming of water make this place an excellent venue to unwind and get a short escapade from the bustling tourists in the town centre. 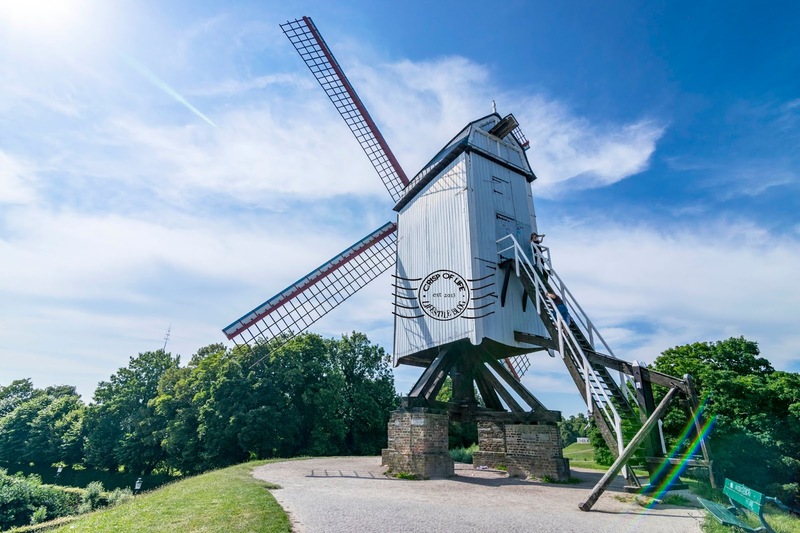 First and foremost, I got scolded for suggesting to take a trip to Bonne Chieremolen Windmill and Kruispoort Gate because it is located a distance away from our hotel - about 3km. It is about 1.5km from the city center. Despite all the pain and a lethargic body after walking, we were rewarded with some great photos of the site. 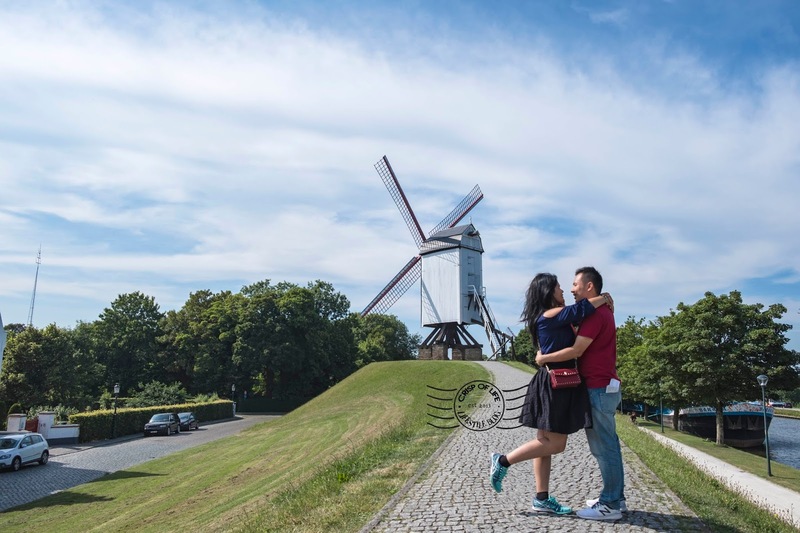 The windmill, standing on a small slope is beautiful to look at. At the same time. 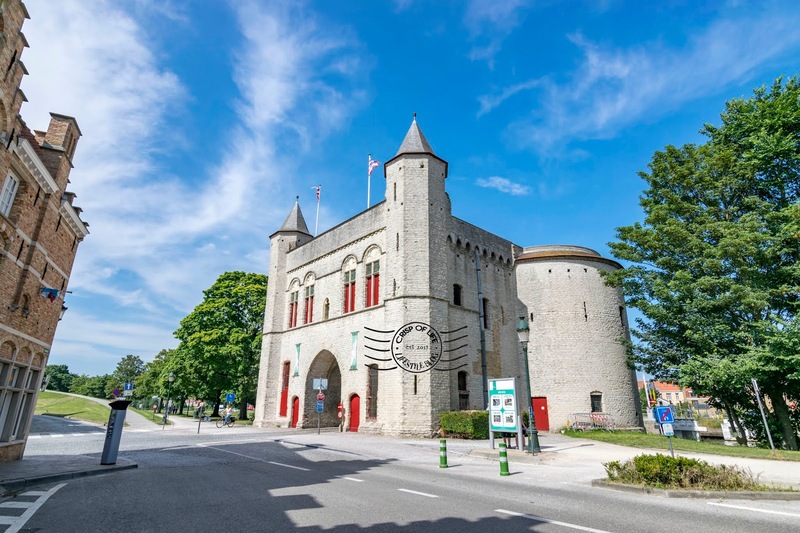 we also have opportunity to witness Kruispoort Gate, one of the best-preserved 4 remaining city gates of Bruges built in the early 15th century, Gentpoort Gate (not shown in the picture) and Schietbaan Lookout Tower. 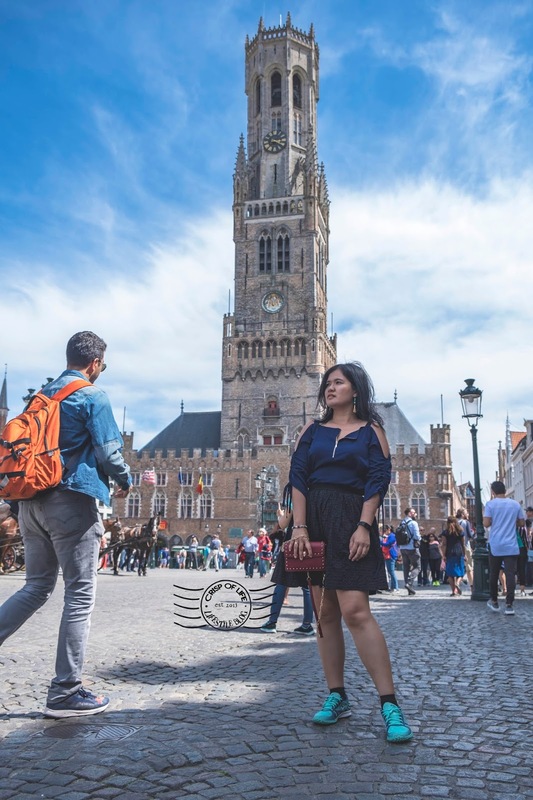 If you have not experienced wander aimlessly, then Bruges is one of the destination worthy your time to do so. The city itself will enthral and captive the heart and eyes of many people. Explore the city at your very own pace without hustle, and sure there will be places that will left you impressed. 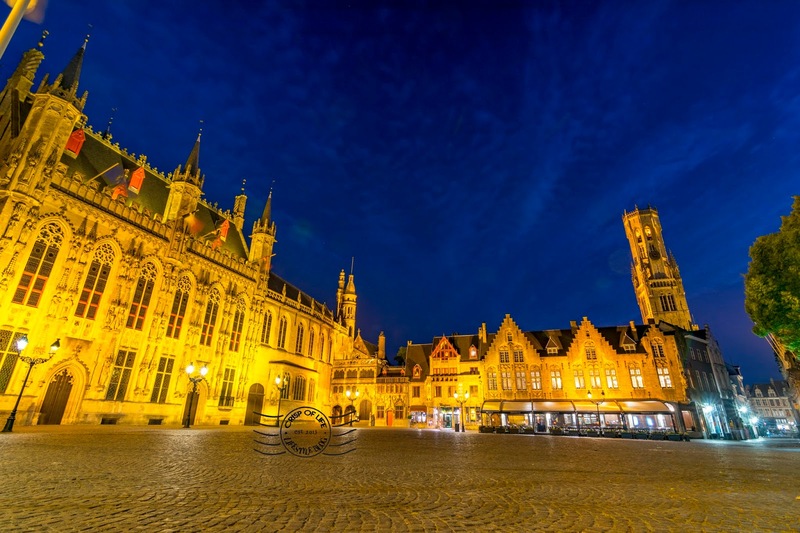 Moreover, Bruges has less tourists compared to Brussels relatively and offers a much peace of mind. 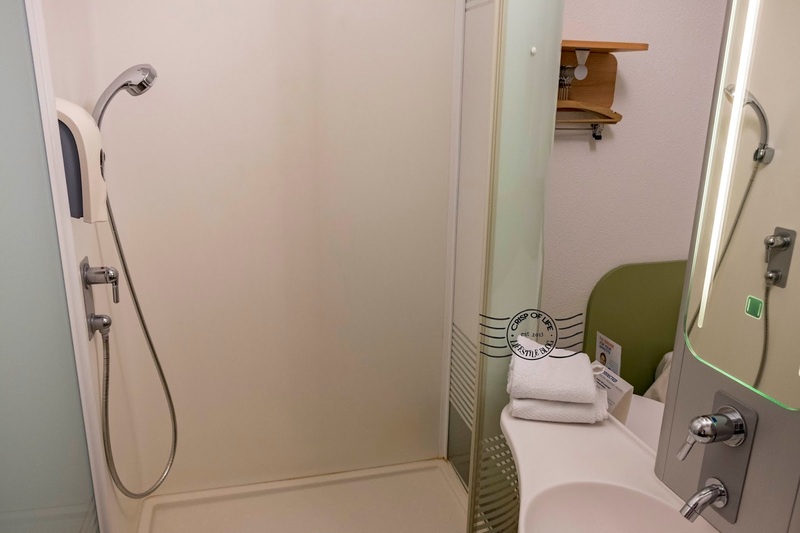 The room is small and barely has space to put up luggage. 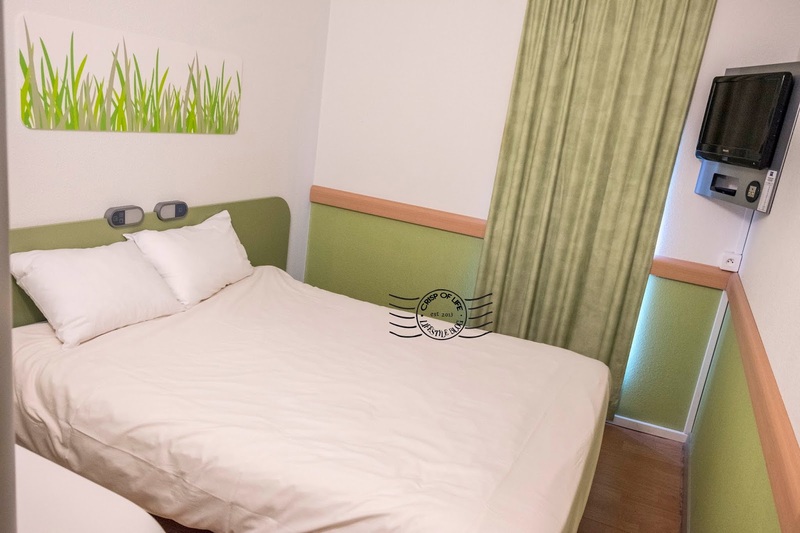 However, stay is comfortable and worth the money. Next, follow our trip when we venture into Tours at France. An exciting adventure awaiting!